An independent marine consultancy specialising in the design and project management of military and professional small craft. We specialise in the design and project management of complex projects for fast, weight critical and sophisticated vessels up to around 35m in length. These include craft for military, coast guard, police, customs, rescue and other specialist applications . in advanced composites, GRP and aluminium. We work with prime contractors, boat builders, boat operators and government agencies. 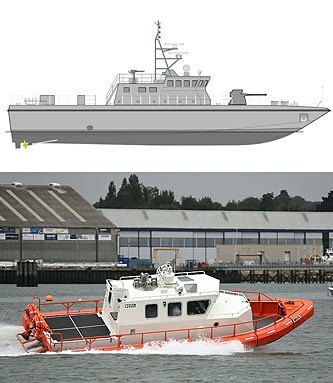 We have proven experience of designing successful boats for the UK Ministry of Defence and military, coastguard and police agencies worldwide. Our clients include some of the most respected global names in military and professional boat building.